Continuing the “British Genoa” theme, here’s an excellent piece from ATP favourite Giancarlo Rinaldi on Giovanni “Johnny” Moscardini. 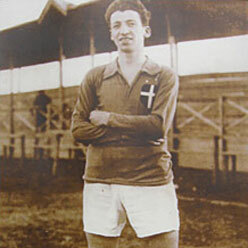 Johnny was a Scottish-born Italian who scored 7 goals in 9 Azzurri appearances and briefly strutted his stuff for the Rossoblu in the 1920’s. I wish I’d discovered this guy during my own research, but I only discovered this piece earlier today while catching-up on Rinaldi’s excellent blog. I consider myself a Scot first and a Briton second, so while I like Genoa’s English connection (Spensley, Garbutt et al) I absolutely love this tale of one of my countrymen succeeding in calcio. Take a look: it’s a great read. James Richardson Spensley: one of Genoa's founding fathers. Genoa Cricket and Football Club are one of the most successful teams in calcio. They’ve won 9 top-tier titles in their history (a total only bettered by Inter Milan, AC Milan and Juventus) with the last of them coming in 1924. In addition to those they’ve won the Coppa Italia once, 6 Serie B titles and a handful of defunct European competitions. Founded in 1893, Genoa, as a sports club, mainly focused on cricket and athletics (hence the “Cricket” in their name). It wasn’t until 1897 that Englishman James Richardson Spensley opened the football section, making them the third professional football club to form in Italy after Torino and Juventus. The English connection is what really interests me. Genoa C.F.C. was originally set-up by a group of English to represent their country abroad. Originally the club’s players wore white kits to match those of the English national team, and Italians weren’t allowed to join until the football section opened. Genoa would typically play friendlies against groups of British sailors passing through the port city before the formation of the Italian Championship in 1988. In 1901 they changed their kits to the red/navy “halves” design that is still used today. Genoa were hugely successful in their early years, and won 6 out of the first 7 Italian Championships (finishing first in 1897-88, 88-89, 99-00, 01-02, 02-03, 03-04 and second in 00-01). 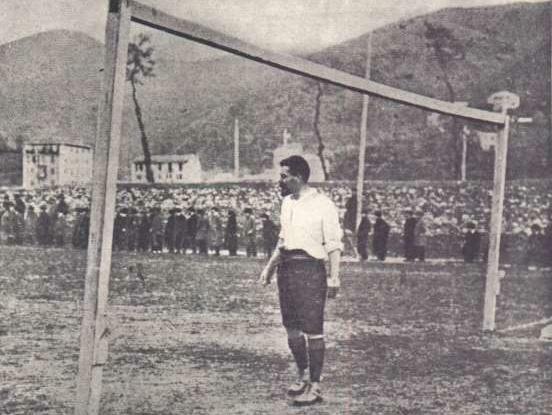 In 1903 they created history by becoming the first Italian club to play an international fixture after travelling to France to beat Nice 3-0, but their dominance wasn’t to last. Things started to slide after their last title win in 1904, and a 1908 FIGC (the Italian FA) ruling forbidding the use of foreign players had a huge impact on their fortunes. Genoa still had a very large contingent of English players at this point, and they withdrew from all FIGC competitions in-protest. They’d eventually return to the league, but the ruling started a rebuilding process that saw the Rossoblu move stadiums and add a number of Swiss players to their squad. 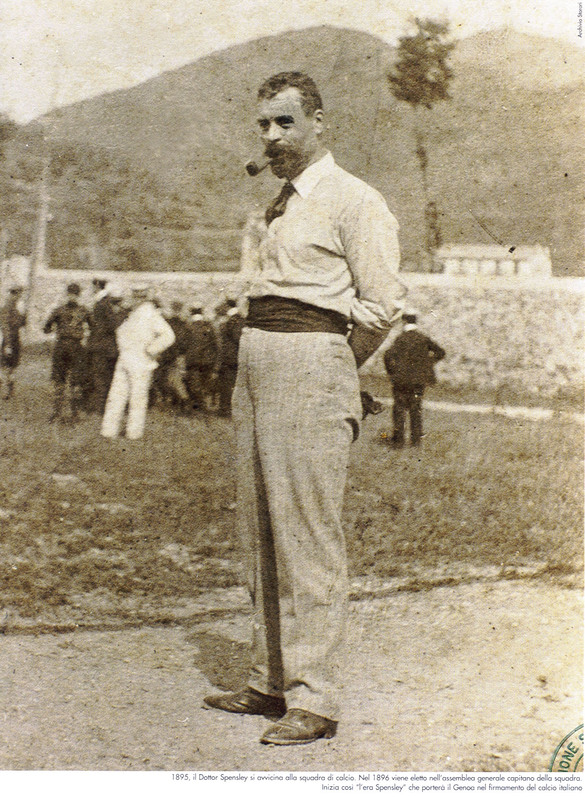 Genoa appointed their first full-time manager in 1912: William Garbutt, another Englishman. Garbutt was with the Rossblu until 1927 and oversaw the club’s recovery. Genoa won 3 championships under Garbutt, but this time period was not without its hardships. 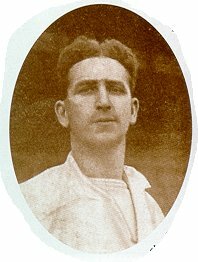 Players Luigi Ferraris, Adolfo Gnecco, Carlo Marassi, Alberto Sussone and Claudio Casanova were all killed in active First World War duty, as was founder James Richardson Spensley. Garbutt’s departure sadly marks the end of Genoa’s golden era. In 1928 the Rossoblu fell foul of Italy’s fascist government, who took umbrage to the club’s English roots and name. They were forced to change their name to Genova 1893 Circolo del Calcio to appease Benito Mussolini. This remained their title until the Axis’ World War II defeat in 1945, when Genoa reverted back to their original name after Mussolini’s death. The Second World War had a hugely detrimental affect on Italian football as a whole, but Genoa were hit harder than most. Garbutt returned for a spell in-charge but the club’s ability to compete at the highest level had been seriously hampered by the conflict. As city rivals Sampdoria emerged in the late ‘40’s, Genoa went into decline. A few years of mid-table mediocrity preceded decades of relegation and promotion. Genoa C.F.C. had become a yo-yo club, and even fell as low as Serie C in 1970 as financial difficulties and multiple ownership changes took their toll. The Rossoblu clawed their way back into Serie A in 1973 but continued to flutter between Serie A and Serie B for a few seasons at a time. Six consecutive Serie A seasons ended with relegation in 1995, and the Rossoblu found themselves stuck in the second-tier for quite some time. Years of mediocrity followed, and Genoa were relegated from Serie B in the 2005-06 season. Fortunately an upturn was right around the corner. Two consecutive promotions brought Genoa back into Serie A for the 2007-08 season, and they remain there today. A 5th-place finished in 2008-09 saw European competition return to the Stadio Ferraris two seasons ago, but an injury-plagued campaign meant they could only muster a finish of 10th last season. Genoa have made a reasonable start to the season and currently sit 10th in Serie A after 5 games. Fans will hope for a higher finish than last season, but the sheer volume of players the club turns over every season makes consistency difficult. The Rossoblu seem to revamp their squad every season, and this summer saw 10 new players arrive at the Ferraris and a whopping 26 leave on loans, co-ownership deals and permanent transfers. I think I’d like to have a closer look at Genoa’s early history later this week. There’s a lot of interesting stuff in there, and I’m particularly intrigued by the English connection and the effect that the two World Wars had on the Rossoblu. Aside from that, I’d like to take a look at their current squad and assess Genoa’s chances of possibly returning to their former glory. Next up: more on Garbutt, Spensley and Genoa’s English roots.